Abrade is the re-issue of a very limited tape/cassette release of the same name; self released by Submersion in 2012. Now made available again on high quality glass mastered CD with additional remixes by Mon0, Optical Frameworks and Valanx. 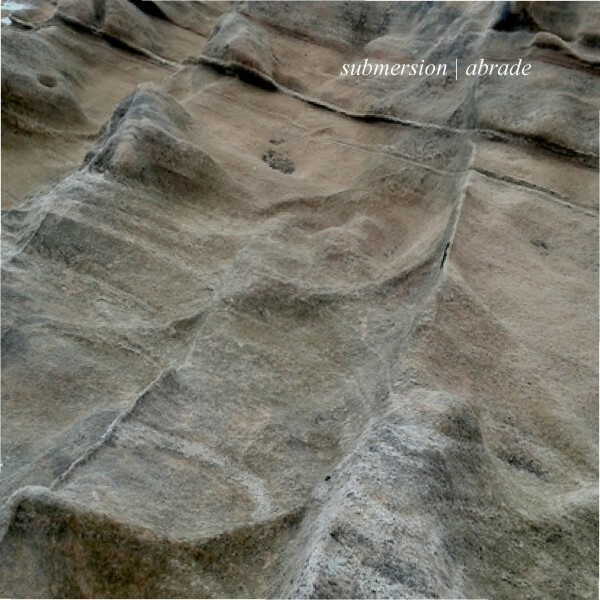 Various layers of field recordings are at the core of Submersion‘s work and are complimented by chords and sounds drenched in delays and reverbs. His approch on dub and dub techno is unique and matched by the care and effort he puts into his sound design and recording process. The additional remixes feature a wide variety of styles and broaden the musical spectrum immensely, but retain the natural characteristics and sounds of the original source material and make this album a beautiful selection of music for dub techno and ambient aficionados. 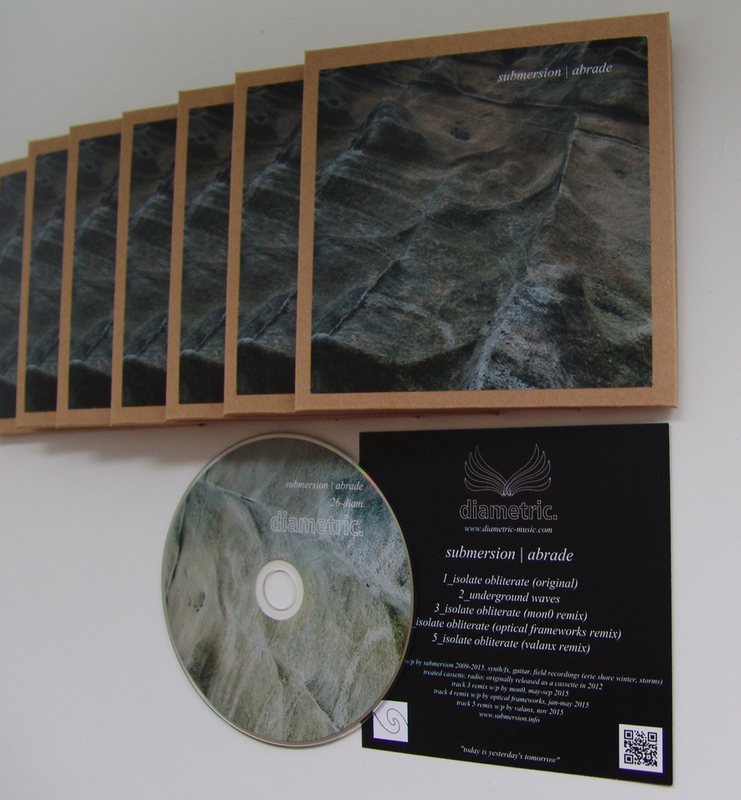 150 manufactured limited CD’s in recycled cardboard packaging.